"Hazara region" redirects here. For the Hazara region in central Afghanistan, see Hazarajat. The Hazara Division or Region consists of seven districts which are shown in maroon colour. Hazara (Hindko/Urdu: ہزارہ‎, Pashto: هزاره‎) is a region in the northeastern part of the Khyber Pakhtunkhwa province of Pakistan. It is located east of the Indus River and comprises seven districts: Abbottabad, Battagram, Haripur, Mansehra, Upper Kohistan, Lower Kohistan, and Torghar. "The origin of the name Hazāra is obscure." This source continues: "It has been identified with Abisāra, the country of Abisares, the chief of the Indian mountaineers at the time of Alexander's invasion. The name Hazara has also been derived from Urasā, or 'Urasha', an ancient Sanskrit name for this region, according to Aurel Stein. Some Indologists including H. C. Raychaudhury, B. N. Mukerjee, B. C. Law, J. C. Vidyalankar, M. Witzel, M. R. Singh and K. N. Dhar concur with Stein's identification of modern Hazara with ancient Urasa. Evidence from the seventh-century Chinese traveller Xuanzang, in combination with much earlier evidence from the Indian epic the Mahabharata, attests that Poonch and Hazara District of Kashmir had formed parts of the ancient state of Kamboja, whose rulers followed a republican form of government. Alexander the Great, after conquering parts of the Northern Punjab, established his rule over a large part of Hazara. In 327 B.C., Alexander handed the area over to Abisaras (Αβισαρης), the raja of Poonch state. Hazara remained a part of the Taxila administration during the rule of the Maurya dynasty. Ashoka the Great was the governor of the area when he was a prince. After the death of his father Bindusara around 272 B.C., Ashoka inherited the throne and ruled this area as well as Gandhara. Today, the Edicts of Ashoka inscribed on three large boulders near Bareri Hill serve as evidence of his rule there. The Mansehra rocks record fourteen of Ashoka's edicts, presenting aspects of the emperor's dharma or righteous law, and represent the earliest irrefutable evidence of writing in South Asia. Dating to middle of the third century BC, they are written from right to left in the Kharosthi script. Hazara has several places of significance for the Hindus related to the Pandavas. In the 2nd century CE, a mythical king Raja Risalu, son of Raja Salbahan of Sialkot, supposedly brought the area under his control. The local people consider him as a popular folk hero. When a Chinese pilgrim, Hiun-Tsang, visited this area, it was under the control of Raja Durlabhavardhana, the ruler of Kashmir. The Shahi dynasties ruled Hazara one after another. Among the Hindu Shahi dynasty rulers, Raja Jayapala is the best known. 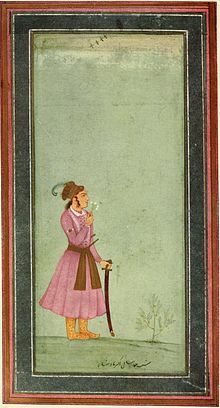 Mehmood of Ghazni defeated Raja Jayapala during his first campaign. However, there is no historical evidence that Mehmood of Ghazni ever visited or passed through Mansehra. After the fall of the Shahi dynasty, in the 11th century, the Kashmiris took control of the area under the leadership of Kalashan (1063 to 1089). From 1112 to 1120, King Susala ruled the area. In the 12th century, Asalat Khan captured this area but soon after Mohammad of Ghor's death the Kashmiris once again regained control of Hazara. Amb and its surrounding areas of Hazara have a long history which can be traced to Alexander the Great's invasion of India. Arrian, Alexander's historian, did not indicate the exact location of Embolina, but since it is known that Aoronos was on the right bank of the River Indus, the town chosen to serve as Alexander's base of supplies may with good reason be also looked for there. The mention in Ptolemy's Geography of Embolima as a town of Indo-Scythia situated on the Indus supports this theory. In 1399, the Muslim warrior Timur, on his return to Kabul, stationed his Turk soldiers (who belonged to a sub-tribe of Turks, called Karlugh Turks) in Hazara to protect the important route between Kabul and Kashmir. By 1472, Prince Shahab-ud-Din came from Kabul and established his rule over the region. During the period of Mughal rule, local Turkish chiefs acknowledged Mughal authority. In fact, Mansehra provided the main route to Kashmir and was the most commonly used route for Emperor Akbar to travel to Kashmir. After the First Sikh War, under the terms of the Treaty of Lahore, the area was governed by Major James Abbott. Abbott managed to secure and pacify the area within a year. During the Second Sikh War Abbott and his men were cut off by the Sikh army from supplies and reinforcements from the rest of the British Army, but were able to maintain their position. By 1849, the British had gained control of all of Hazara. However, the western Pashtun tribes were occasionally rebellious. These tribes included the clans of Allai, Batagram in the Nandhiar valley, The Black Mountain (Tor Ghar) Tribes. The British sent many expeditions against these tribes to crush several uprisings between 1852 and the 1920s. The British divided Hazara District into three Tehsils (administrative subdivisions) : Mansehra, Abbottabad, and Haripur and annexed it to the Punjab. In 1901, when the North-West Frontier Province (now Khyber Pakhtunkhwa) was formed, Hazara was separated from Punjab and made a part of NWFP. From the early 1930s onwards, the people of Hazara gradually became active in the freedom movement for an independent Pakistan under the active leadership of renowned All India Muslim League leaders such as Abdul Majid Khan Tarin of Talokar (1877–1939), an early member of the (then) Frontier Legislative Assembly, and others. Even before the All-India Muslim League started its movement for Pakistan in 1937, after the historic Lucknow Session of October that year, the Hazara Muslim League was properly formed and convened at the residence of Noor-Ud-Din Qureshi in Abbottabad in 1936. In this meeting the leaders of the All-India Muslim League, Nawab Bahadur Yar Jang, Maulana Shaukat Ali, Hamid Badayuni and others, came from India. The local people joined the movement in large numbers. In Mansehra in the same year the Muslim League was organised by Ali Gohar Khan of Chitti Dheri and Hakim Abdul Karim, who were elected the first president and general secretary of the tehsil Mansehra Muslim League. During the final phase of the movement for the creation of Pakistan, Captain Sardar Zain Muhammad Khan, OBI, and Jalal-ud-din Jalal Baba defeated their Congress rivals in the elections of 1946 from their respective rural and urban Constituencies, and politically routed the All India Congress from the region. In the Delhi Convention of Muslim League parliamentarians chaired by Quaid-e-Azam Muhammad Ali Jinnah, which finally voted for the division of India and the creation of Pakistan, Capt.Sardar Zain Muhammad Khan represented Hazara. These Muslim League Leaders were also able to mobilize the people of this area in favour of the referendum for the creation of Pakistan. Jalal Baba, who was the main force behind Referendum in Hazara, served as the President of District Muslim League for 22 years. During British rule, the region of Hazara had formed part of Punjab province, until the western parts of that province were separated to form the new NWFP. The areas around Abbottabad and Mansehra became the Hazara District of Peshawar Division, whilst areas to the north of this became the Hazara Tribal Agency. Sandwiched between Hazara Tribal Agency and Hazara District were the small princely states of Amb and Phulra. This system of administration continued until 1950, when these two small states were incorporated into the Hazara district. In this picture seated (left to right): Sahibzada Mohammad Khurshid (first Pakistani Governor of the NWFP), Nawabzada Liaquat Ali Khan (Liāqat Alī Khān) (Urdu: لیاقت علی خان) listen (help·info) (2 October 1896 – 16 October 1951) the first Prime Minister of Pakistan, Nawab Sir Muhammad Farid Khan Tanoli (Nawab of Amb) and Begum Ra'ana Liaquat Ali Khan (wife of Liaquat Ali Khan). Darband, Amb State, 1949. From 1955 to 1970, NWFP province became part of West Pakistan under the One Unit policy, with the Hazara district forming part of the Peshawar division of West Pakistan. The Khyber Pakhtunkhwa Assembly here on 21 March 2014 passed a resolution demanding the creation of the Hazara province. On the dissolution of West Pakistan in 1970, Hazara District and the two tribal agencies were merged to form the new Hazara Division with its capital at Abbottabad. The division was initially composed of two districts (Abbottabad, and Mansehra) but within a few years, Haripur district was spun off from Abbottabad District and Batagram District was spun off from Mansehra District. Hazara remained a district until its conversion into a division in 1976. In October 1976, Mansehra was given the status of a full-fledged district, which consisted of Mansehra and Batagram tehsils. Subsequently, in July 1991, Haripur Tehsil was separated from Abbottabad and made into a district. Thus only the old Tehsil of Abbottabad remained, which was declared as Abbottabad District. Eventually, with all the administrative divisions being restored back in 2008, Hazara Division has returned. Hazara is bounded on the north and east by the Northern Areas and Azad Kashmir. To the south are the Islamabad Capital Territory and the province of Punjab, whilst to the west lies the rest of Khyber Pakhtunkhwa. The river Indus runs through the division in a north-south line, forming much of the western border of the division. The total area of Hazara is 18,013 km2. Because it lies immediately south of the main Himalaya Range, and is exposed to moist winds from the Arabian Sea, Hazara is the wettest part of Pakistan. At Abbottabad, annual rainfall averages around 1,200 millimetres (47 in) but has been as high as 1,800 millimetres (71 in), whilst in parts of Mansehra District such as Balakot the mean annual rainfall is as high as 1,750 millimetres (69 in) . Due to its location on the boundary between the monsoonal summer rainfall regime of East Asia and the winter-dominant Mediterranean climate of West Asia, Hazara has an unusual bimodal rainfall regime, with one peak in February or March associated with frontal southwest cloudbands and another monsoonal peak in July and August. The driest months are October to December, though in the wettest parts even these months average around 40 millimetres (1.6 in) . Due to the high altitude, temperatures in Hazara are cooler than on the plains, though Abbottabad at 1,200 metres (3,900 ft) still has maxima around 32 °C (90 °F) with high humidity in June and July. Further up, temperatures are cooler, often cooler than the Northern Areas valleys due to the cloudiness. In winter, temperatures are cold, with minima in January around 0 °C (32 °F) and much lower in the high mountains. Snowfalls are not uncommon even at lower levels. Hazara lies close to the crossroads formed by the river Indus and the Grand Trunk Road. The Karakoram Highway begins at the town of Havelian and goes north through the division towards China via the Northern Areas. Major ethnic groups of the Hazara region are the Hindkowans (who speak various Hindko dialects), Pashtuns (speakers of Pashto) and Kohistanis (speakers of Indus Kohistani). Some districts of Hazara have received high scores in education in Alif Ailaan's 2017 rankings: Haripur District was ranked first in Pakistan, while Abbottabad and Mansehra were in the top three for the province of Khyber Pakhtunkhwa. A movement founded in 1987 by the late Malik Asif Advocate named "Hazara Qaumi Mahaz" (HQM) demands for separate Hazara Province. People of Saraiki areas in south Punjab also raised the voice for separate province by disgraced PM Yousuf Raza Gilani similar to Hazarawal peoples. In April 2010, it was announced that through an amendment in the Constitution of Pakistan, the name of NWFP would be changed to 'Khyber Pakhtunkhwa' leading to protests across the Hazara region under the leadership of Haider Zaman. The announcement of the new name also led to calls from Hazara for a new separate province. Ten persons died, and nearly two hundred were hurt during the rallies and protest all over Hazara region against NWFP and creation of new province Hazara in April, 2010 and a complete wheel-jam and shutter-down strike was again observed in the Hazara on 2 May 2010, in support of this demand. Large public meetings in this regard as well as public protests have been regularly organised by the HQM (Hazara Quami Mahaz Pakistan ) and 'Tehreek I Hazara' movement, since; but the name of the NWF Province has been duly changed to 'Khyber Pakhtunkwha' and is a 'fait accompli'. The leadership of the Hazara movement, however, have vowed to continue their struggle until the achievement of their aims via peaceful and constitutional means. The Khyber Pakhtunkhwa Assembly on 21 March 2014 passed a resolution demanding the creation of the Hazara province. Sardar Mohammad Abdul Ghafoor Hazarvi - Founding member of the religious Jamiat Ulema-e-Pakistan party (JUP) and companion of Muhammad Ali Jinnah. Salahuddin Saeed Khan Tanoli Last nawab of Amb (princely state). Muhammad Muneeb-ur-Rehman Tanoli ex chairman ruet-e-hilal committee. Sardar Haider Zaman Khan leader of the movement for a separate Hazara province. ^ Imperial Gazetteer of India in 26 assorted volumes (London: Oxford 1931), v. 13, p. 76. ^ Kalhana's Rajatarangini: A Chronicle of the Kings of Kaśmīr (1988), p 267, Kalhana, M. A. Stein; The Historical Background of Pakistan and Its People (1973), P 156, Ahmed Abdulla; Ethnic Settlements in Ancient India: A Study on the Puranic Lists of the Peoples of Bharatavarsa (1955), P 91, Sashi Bhusan Chaudhuri; Kalhana (1978), P 57, Somnath Dhar; The Indian Society: A Process of Peoples' Revolutionary Struggle Through the Ages (1974), P 207, R. P. Saraf; Indian Conquest of the Himalayan Territories: Military Exploits of General Zorawar Singh Dogra (1978), P 18, Sukh Dev Singh Charak; Maharaja Ranjitdev and the Rise and Fall of Jammu Kingdom, from 1700 A.D. to 1820 A.D. (ed. 1971), P 133, Sukh Dev Singh Charak; Studies in Alexander's Campaigns (1973), P 48, B. C. (Binod Chandra) Sinha; History of India (1906), P 76, Henry Miers Elliot, Romesh Chunder Dutt, Dr Vincent Arthur Smith, Stanley Lane-Poole, Sir William Wilson Hunter, Sir Alfred Comyn Lyall; Hindu Shahis of Afghanistan and the Punjab - P 77, Yogendra Mishra; Who's Who In The Age Of Alexander The Great: Prosopography of Alexander's Empire (2006), P xxviii, Waldemar Heckel; The North-west India of the Second Century B.C. 1974, P 20, Mehta Vasishtha Dev Mohan; Studies in Skanda Purāṇa – 1965, Page 1, A. B. L. Awasthi; The Indian Historical Quarterly (1963), P 553; History of the Panjab Hill States (1933), P 671, John Hutchison, Jean Philippe Vogel; Eminent Rulers of Ancient Kashmir: A Detailed History of the Life and Rule of Ten Kings and...(1975), M. L. (Manohar Lal) Kapur; The Greek World in the Fourth Century: From the Fall of the Athenian Empire to the Successors of...(1997), P 224, Lawrence A. Tritle; The Panjab, North West Frontier Province and Kashmir – (2003), P 160, James Douie; History of the Panjab Hill States (1994), P 667, John Hutchison, Jean Philippe Vogel; The Geographical Encyclopaedia of Ancient and Medieval India: Based on Vedic, Puranic, Tantric,..(1967), P 40, Krishna Datta Bajpai; The Travels of Marco Polo: The Complete Yule---= al Shri Parmananda Research Institute; An Advanced History of India (1956), P 164; Ancient Nepal (1969), P 21, D. R. Regmi; The Geographical Dictionary of Ancient and Mediaeval India. (1971), p 236, Nundo Lal Dey; Kashmir: an historical introduction (1961), P 100, James P. Ferguson; History of Kanauj (1990), P 84, Rama Shankar Tripathi; Foundations of the Hindo Indian Culture Pt. 1 & 2 (1991), P 24, Govind Chandra Pande; Kashīr, Being a History of Kashmīr from the Earliest Times to Our Own (1949), P 238, Ghulām Muhyid Dīn Sūfī, Ghulam Muhyi'd Din Sufi; On Yuan Chwang's Travels in India, 629-645 A.D. (1904), P 257, Thomas Watters, Vincent Arthur Smith, Thomas William Rhys Davids, Stephen Wootton Bushell; Accounts of India and Kashmir in the Dynastic Histories of the Tʾang Period (1968), P 24, Hsü Liu, Hsiu Ou-yang; Indological Studies (1950), P 18, Bimala Churn Law; Harsha and His Times (1970), P 211, Baijnath Sharma; Memoirs of Zehīr-Ed-Dīn Muhammed Bābur: emperor of Hindustan (1921), P 201, Babur; Trubner's Oriental Series: Translated from the Chinese of Hiuen Tsiang (A.D. 629), (2001), Samuel Beal - Social Science; Yuan Chawang, pp 256–57 (I), Watters etc etc. ^ See refs: Mahabharata 7/91/39-40; Political History of Ancient India, 1996, p 133, 218/220, Dr H. C. Raychaudhury, Dr B. N. Mukerjee; History of India – 1944, P 94; Narendra Krishna Sinha, Anil Chandra Banerjee; Chilas: The City of Nanga Parvat (Dyamar) – 1983, Page 120, Ahmad Hasan Dani; Indological Studies – 1950, P 18, Dr B. C. Law; A Companion to Middle Indo-Aryan Literature – 1977, P 168, Suresh Chandra Banerji; A Companion to Sanskrit Literature: spanning a period of over three thousand years, containing... – 1971, P 486, Sures Chandra Banerji; Asoka - P 31, Dr R. G. Bhandarkar; J.N. Banerjea Volume: A Collection of Articles by His Friends and Pupils, 1960, p 18, University of Calcutta. Dept. of Ancient Indian History and Culture. Alumni Association. ^ "The Hazara Point – History of Hazara". thehazarapoint.com. Retrieved 2017-11-29. ^ "District Ranking". Retrieved 11 September 2018.